Here comes the secret recipe of Indian flavorful masala tea recipe. Its one of the best tea recipe that can be prepared easily at home to enjoy anytime. Its prepared by brewing the tea powder along with a mixture of aromatic spices and herbs. This authentic recipe I learnt from my lovely nephew, who resides in Kerala. 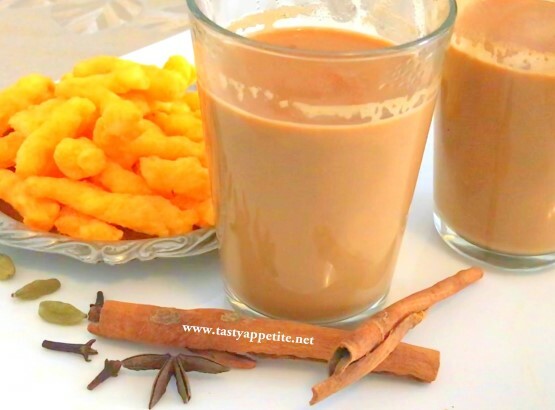 I love to prepare this ultimate cuppa chai, whenever we have get-togethers and parties. Description: Learn to make flavorful masala tea recipe with video and easy step by step instructions. It tastes divine with irresistable flavors from aromatic spices added to it. Add grated ginger and allow to boil. Add cardamom pwd and stir. Add cinnamon pwd, pepper pwd, cloves and mint leaves. Allow to boil for few minutes. Add tea pwd and allow to boil. Once the dicotion thickens, add milk and sugar as shown in video. Let it boil for few minutes. Irresistably flavorful delicious masala tea is ready. For the lastest food recipes, health tips and updates, like us on Facebook, subscribe on Youtube or follow us on Twitter , Instagram, Pinterest.